“The fact that this announcement was made on the holiday of Purim, when we remember the Jews’ salvation in ancient times from an evil plot to annihilate them, added further joy to the day, and it was especially meaningful to hear President Trump address Israel’s need to safeguard its citizenry from those modern-day enemies who wish to destroy it,” said the National Council of Young Israel. (March 22, 2019 / JNS) Jewish and pro-Israel groups applauded U.S. President Donald Trump announcing on Thursday that the United States should recognize Israeli sovereignty over the Golan Heights. 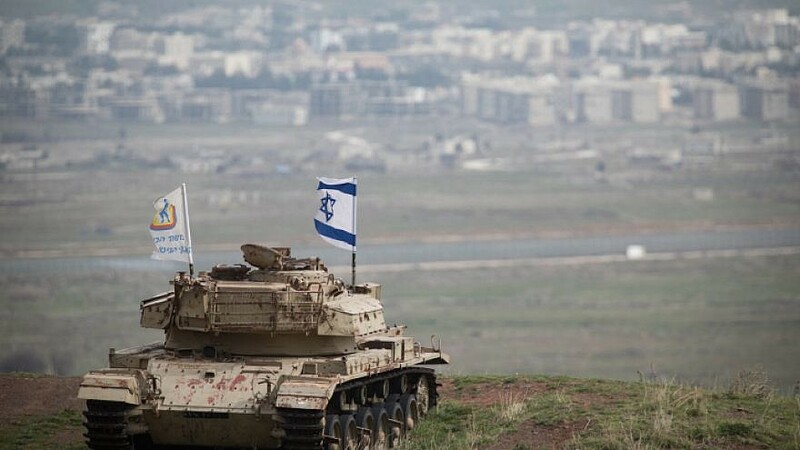 “After 52 years it is time for the United States to fully recognize Israel’s Sovereignty over the Golan Heights, which is of critical strategic and security importance to the State of Israel and Regional Stability!, tweeted the president. The National Council of Young Israel said “President Trump’s assertion concerning Israel’s sovereignty over the Golan Heights is indicative of his deep understanding of the fundamental need for Israel to be in a position to defend itself against the existential threats that it faces, and is emblematic of his desire to continue strengthening the U.S.-Israel relationship,” said the organization in a statement. “The fact that this announcement was made on the holiday of Purim, when we remember the Jews’ salvation in ancient times from an evil plot to annihilate them, added further joy to the day, and it was especially meaningful to hear President Trump address Israel’s need to safeguard its citizenry from those modern-day enemies who wish to destroy it,” it added. We recognize the Golan as a part of Israel, but this abrupt change of decades-long policy was made absent a coherent strategy. It also appears to be a politically-motivated calculation, and does nothing to enhance Israeli security or bring Israel closer to peace. “We look forward to the Trump administration’s formal recognition of Israeli sovereignty over the Golan Heights—a great step that will enhance vital U.S. security interests and the stability of the Middle East and the entire world,” added the ZOA. Fox News reported that the president is expected to apply the tweet to an executive order that he will sign next week, making the recognition official. This could occur when Israeli Prime Minister Benjamin Netanyahu visits with the president on Monday and Tuesday at the White House. Netanyahu is also scheduled to address the annual AIPAC Policy Conference, which takes place from March 24-26, just weeks before Israelis go to the polls on April 9. Over the phone, Netanyahu told Trump, “You made history,” the prime minister said in a joint press conference on Thursday with U.S. Secretary of State Mike Pompeo, who met with Netanyahu in Jerusalem to discuss issues such as the Iranian threat.